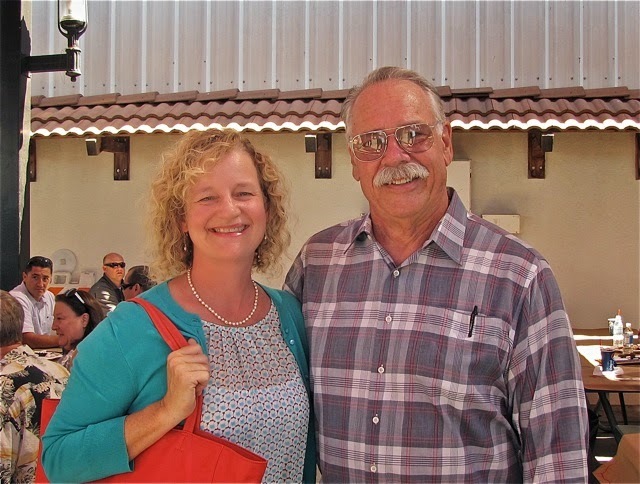 Over at the La Femme Wonkita Blog, councilwoman Sandra Genis has produced some very provocative entries over the past couple days. 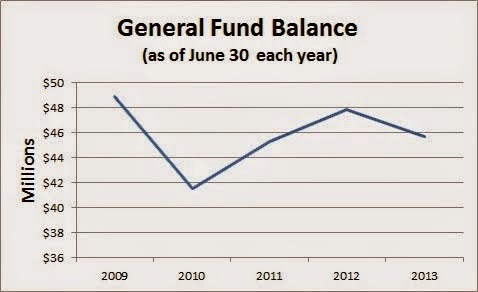 On Tuesday she gave us an essay, HERE, which dissects the myth of a budget surplus, complete with graphics. Then, on Wednesday, she continues her challenge of the budget process, HERE, debunking Mayor Jim Righeimer's claim of producing a balance budget. One gets the sense that our councilwoman is rapidly growing impatient with all the fabrication that has been going on around her on the dais and seems poised to push back in real time as it happens in the future. 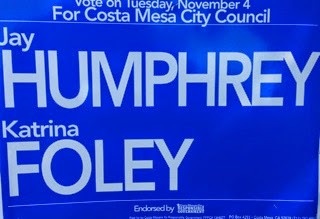 Yet another reason to vote for Jay Humphrey and Katrina Foley for City Council and to vote No on Measure O. 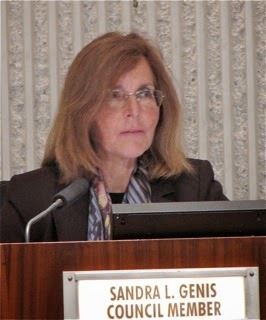 Unlike the little dictator, Genis is from Costa Mesa and truly cares about the quality of life in this city. She doesn't lie and mislead in order to pay back campaign contributors and the Tea Party. He can go build apartments around the Salton Sea. He can raise an armada and make people call him admiral. Our mayor has no concept of money or savings or even what is there and what isn't. He lies constantly about how much surplus there is, and I'm not entirely sure that if they replenished the funds that were drained to obtain that surplus, there wouldn't be a deficit. There is money going out all over the place that no one knows about. Where did that self insured fund money go? Where did the money from the 60th go? Something isn't adding up besides our mayor's math. More proof that we need the experience of JAY HUMPHREY and KATRINA FOLEY now. We need their experience. We need them to hit the ground running. We don't need a "new" charter to fix Costa Mesa. Sandy has provided us real transparency. BTW Anna Vrska has provided Costa Mesa with more truth and knowlege that the combined council majority. "What...what.. do you want MONEY?!" "No, Benito Mussolini, that's what you and your buddies do- collect contributions from locusts everywhere..."
Hey, let's set up a pool on the final tally on measure O. I'm predicting that it'll go down by a 70-30 vote. God willing, so will Righeimer. Anybody got any thoughts or predictions? Don't want to jinx it, Terry, but I like your numbers! Sandy should have gone back to when Allan Roeder and Bobby Young had only $90 million to work with. 2009 and 2010. They cut expenses way down. 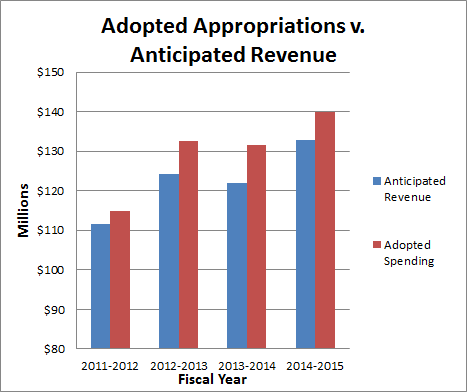 Now the revenues have rebounded to according to this $140 million. 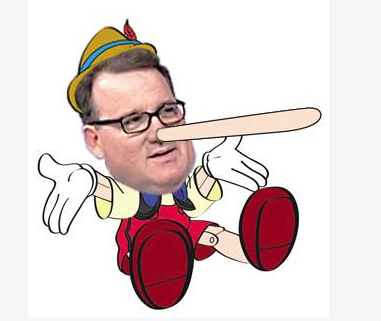 I won't say current council should then he showing $50 million surpluses because we needed to replace many expenses cut. But for them to take credit for the huge increase in revenues rebounding is very telling and sad. Breaking Bad: Just another lie from the RIGmeister! As is his taking credit for all the street and alley repaving. It was in the works before he ever arrived in our city! LIAR, LIAR! PANTS ON FIRE, RIGNOCCIO! !